Salem Chamber Ambassadors serve as a liaison between the Chamber and its members. They continually strive to improve the level of personal customer service Chamber members receive and assist members in fully realizing the benefits of Chamber membership. Through periodic visits and phone calls to new and existing members, Ambassadors help shape the Chamber's next generation of business community leaders. Together, Chamber Staff, the Board of Directors and Chamber Ambassadors work to increase membership involvement, recruitment and retention. Ambassador participation is open to all employees of good standing Salem Chamber members (only one employee per business member). 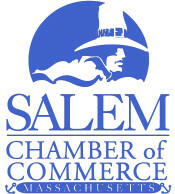 Ambassadors must be active members of the Salem Chamber for at least one year prior to becoming an ambassador, or have at least one year active involvement with another Chamber. Ambassadors must have minimally attended 5 networking events and/or ribbon cuttings prior to becoming an Ambassador. Interested in becoming an Ambassador? Please fill in the form below or contact Jill Thompson, Salem Chamber Assistant Director, for more information.